Clth, 6.5 x 9.5 in. / 160 pgs / 54 color / 7 duotone. Eduardo Chillida (1924–2002) is among the sculptors who have contributed most decisively to the vocabulary of abstract sculpture, and to its material innovations, in twentieth-century European art—although he himself envisaged abstraction as simply a truer “realism,” as an undistorted account of material properties. Along with clay, stone and concrete, Chillida particularly favored wrought iron, using it to achieve robust sensations of both mass and movement, at once affirming solidity and defying gravity. 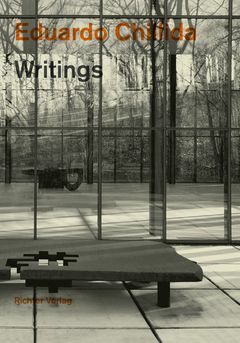 Chillida's writings, published here for the first time, take the reader into the sculptor's independent-minded musings on the nature of sculpture. These philosophical and theoretical reflections, and the practical and interpretive notes he made on his work, make for a basic manual on sculpture, a uniquely articulate meditation on forms and a clue into the energies at play in his work. “When I start working on a new piece I almost do not know where to begin. I see only a certain element of space that gradually brings out several lines of strength. At first it is almost like an undefined aroma that dominates until the piece becomes more determined. I work with many materials at the same time, but I always know which material to choose at any given moment. Space and material are important to sculpture. Stone, clay, etc. are limited and slow materials. Space is a very fast material. It is so vital that it seems like there is nothing there. By placing my idea into contact with a new material a new result is produced. In this way, I accept the reaction of the material based on internal factors and I mould my idea to the material with which I work. It is a continuous struggle between iron and space. But iron is always open to space – both the space implicated in the work and the space that surrounds it. --Eduardo Chilleda, excerpted from Richter Verlag’s beautifully produced Writings collection. Eduardo Chillida (1924–2002) is among the sculptors who have contributed most decisively to the vocabulary of abstract sculpture, and to its material innovations, in twentieth-century European art — although he himself envisaged abstraction as simply a truer “realism,” as an undistorted account of material properties. Along with clay, stone and concrete, Chillida particularly favored wrought iron, using it to achieve robust sensations of both mass and movement, at once affirming solidity and defying gravity. 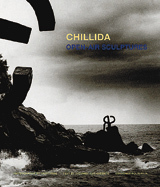 Chillida's writings, published here for the first time, take the reader into the sculptor's independent-minded musings on the nature of sculpture. These philosophical and theoretical reflections, and the practical and interpretive notes he made on his work, make for a basic manual on sculpture, a uniquely articulate meditation on forms and a clue into the energies at play in his work. Excerpts are found below, along with images from the book. FORMAT: Clth, 6.5 x 9.5 in. / 160 pgs / 54 color / 7 duotone.